The Patient Rights CoP is the most often cited by surveyors and will continue to draw their focus. The Patient Rights CoP broadens the scope of patient rights. 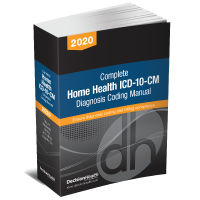 You and your staff need to be thoroughly prepared. 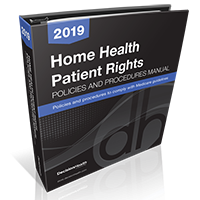 100% Money-Back Guarantee: If you do not find that the Home Health Patient Rights Policies and Procedures Manual, 2019 helps you plan and implement effective agency procedures to prepare for state surveys and address deficiencies, return it within 30 days from receipt for a full refund, no questions asked.